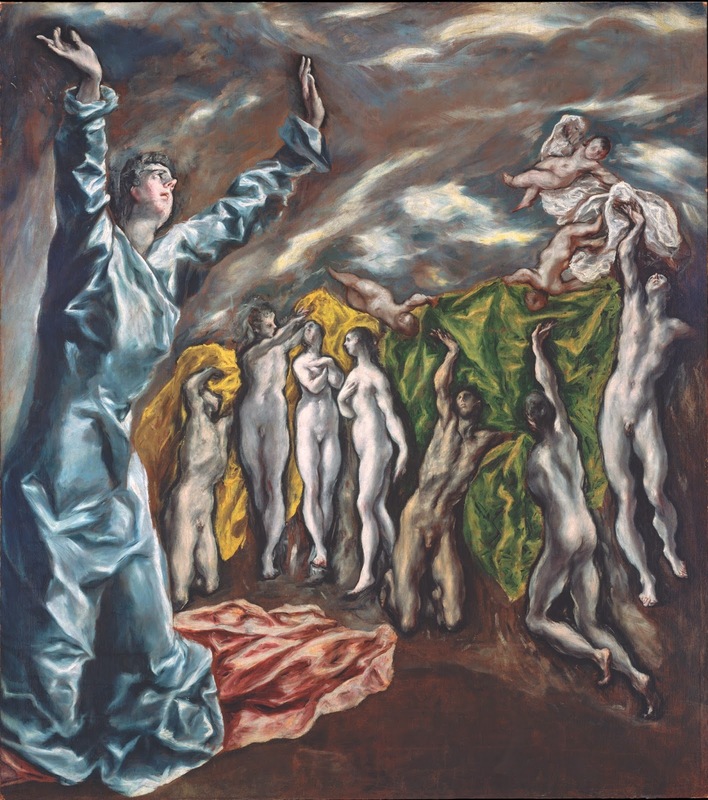 El Greco’s Toledo: Capella de Ministrers at The Metropolitan Museum of Art. Photo courtesy of Met Museum Presents. The Park Avenue Armory may have a lock on presenting some of the city's biggest cross-genre spectacles, but the Met Museum Presents boasts a vast choice of rooms, and thereby time and culture capsules, in which to host a variety of events. Some are tied to current exhibitions. This past weekend, Capella de Ministrers gave a series of concerts linked to the exhibition El Greco's Toledo, in the Velèz Blanco Patio, from Renaissance-era Spain. When combined with a tour of the El Greco show, it felt like a micro vacation, or being in a snow globe within a larger snowglobe (the vast cultural riches of the Met) within the city. Capella de Minstrers comprises five members: soprano Elisa Franzetti, and four on period instruments: director Carles Magraner (viol), David Antich (flutes), Sara Àgueda (double harp), and Pau Ballester (percussion). Franzetti's rich, focused voice permeated the small hall, moving between dancey, playful lines and the haunting lilt of more somber songs. Magraner, on viol, most often provided the steady pulse; the percussion, by contrast, was more embellishment, and Ballester deployed a wide array of small instruments in addition to a handheld, platter-sized drum. Antich's flutes at times engaged with the vocal line, or trailed it, while the harp contributed a delicate wash of notes, at times even taking the lead. The song selection ranged from a Greek instrumental, with a nod to El Greco's hometown of Crete, to the Italian and Spanish Renaissance period, with longer selections of work by Ceari Negri and Fabrizio Caroso. In "Romerico Florido" by Mateo Romero, Franzetti sang with attack and felicitousness, boldly engaging while spinning a story. In the encore, "La Muerte de Absolan," a Sephardic lamentation, she strolled about while briskly regaling us in song. The Blanco Patio, just off of the grand lobby, was a nearly ideal setting other than some ambient chatter from passersby and some echoing footsteps from above. The concert demanded a re-viewing of the El Greco in New York show—now degrees richer, armed with a greater context. El Greco, The Vision of St. John, 1608—14, oil on canvas, 87.5"x76"
The show, up through Feb 1, is a gathering of the painter's works from the Hispanic Society of America and the Met. It is surprisingly compact, filling one relatively small gallery. It includes two of the artist's best-known paintings: View of Toledo, in which every object and surface shimmers with electricity, and The Vision of St. John, whose modernist tendencies purportedly influenced Picasso's composition of Les Demoiselles d'Avignon. One of the earliest paintings on view, Christ Healing the Blind (1570), with its clinical approach to perspective, is a reminder of just how radical El Greco's subsequent work was, with its unfettered, supernaturally expressionistic brushwork and flattened planes. The show contains several portraits: of Cardinal Fernando Niño de Guevara, with his searing and judgmental gaze; Saint Jerome as both a scholar and a penitent, his elongated features compounding his otherworldliness; and a tiny cameo cut from a larger canvas, painted with Holbein's exactitude. The collective experience of the art and the music— artifacts five centuries old, yet very much alive with us today—is a surprising gift amid the holiday clamor.